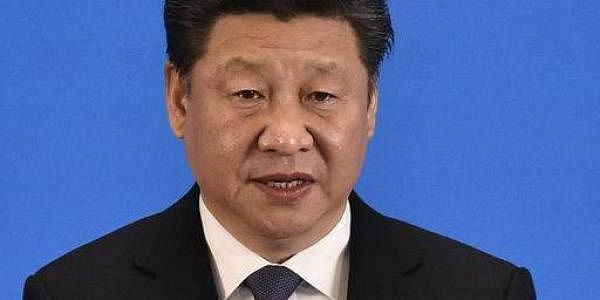 BEIJING: President Xi Jinping has asked rapidly modernising PLA to integrate its scientific advances with that of the civilian sector by removing institutional barriers and special interest groups obstructing the process. "We must have a greater sense of urgency to push for sci-tech innovation and advancement with greater determination and efforts," Xi, who is also the head of the ruling Communist Party of China (CPC) and the armed forces, said. While addressing the military deputies of the National People's Congress here yesterday, Xi called for enhanced top-level design and strategic planning in promoting military- civilian integration in national defence technology and military equipment, and strengthening military and civilian cooperation in training high-quality military personnel. He was quoted by state-run media as saying that civilian and military technologies are increasingly connected and asked the military to pay more attention to science and technology and to speed up civilian-defence integration. Institutional barriers and special interest groups must be removed to pave the way for civilian-defence integration, Xi said. Since he came to power, Xi, who heads the Central Military Commission (CMC), the overall high command of the 2.3 million strong world's largest military, has launched a massive anti- corruption drive resulting in the prosecution of over 50 top officials of the armed forces. He has also announced the three-lakh troop cut to trim the military and implemented massive reforms resulting in the biggest overhaul of the PLA for several decades. PLA's higher governing bodies up to the level of the CMC were reshuffled, the regional command was reorganised and new units were established to prepare for wars in cyberspace and even space. Besides calling for rapid modernisation, he has been insisting on the People's Liberation Army to strictly function under the CPC and integrate with civilian sector. Xi has repeatedly stressed the significance of civilian- defence integration, which generally refers to the military transferring technologies to the civilian sectors, and including private companies into its suppliers' list and military research and development. He also headed a body for civilian-military integration set up by the CPC. In the current Chinese military setup, all aspects of armed forces including the space sector and research and development remained in the purview of the armed forces giving total monopoly to the PLA. The integration process was expected to gather pace as Xi is completing five years of his ten-year tenure later this year and is set to commence his next term with top army brass hand-picked by him.